Dean Sherine E. Gabriel, MD, MSc , welcomed 179 new medical students as part of the Class of 2022 at the school’s annual White Coat Ceremony. The ceremony culminates a week-long orientation and signifies the students’ entrance into the medical profession. 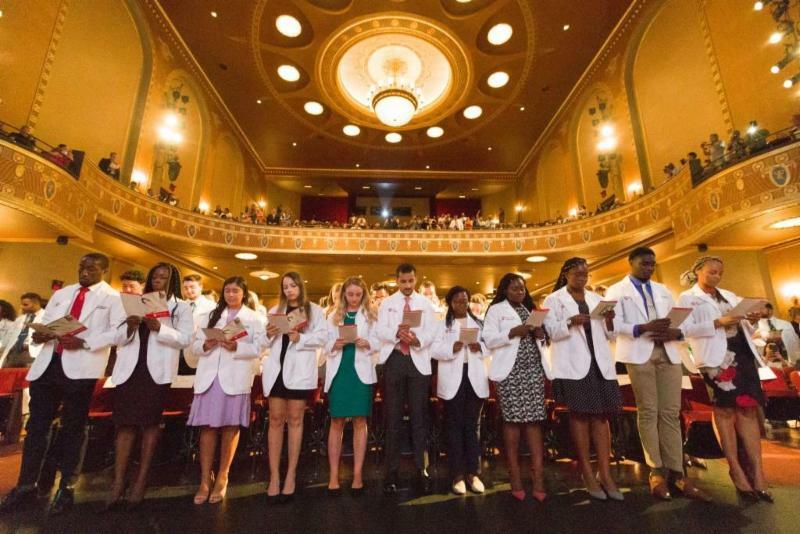 The Class of 2022 is the second-largest class the medical school has inducted since becoming part of Rutgers five years ago. Six of the students have been accepted into the school’s dual-degree program and will be pursuing either a PhD or a PharmD degree along with the medical degree, and 43 are joining the school having already earned a master’s or doctorate degree. More than half of the incoming class is female and the class includes two veterans — one served in the U.S. Air Force, the other in the U.S. Marine Corps — and two students, including one of the veterans, who are reservists. Read more about the new students here. The keynote address was given by Anil Nanda, MD, MPH , who was appointed chair of the Department of Neurosurgery at Robert Wood Johnson Medical School and New Jersey Medical School, and senior vice president for neurosurgical services at RWJBarnabas Health on July 1. Click here to view photos and videos of the day and here to view the livestream of the entire ceremony. 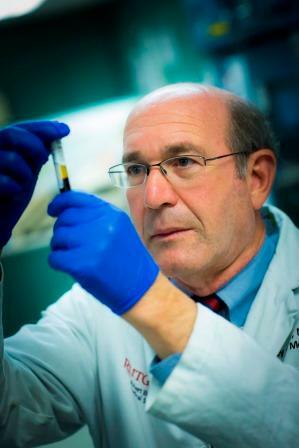 Jeffrey L. Carson, MD , distinguished professor of medicine, Richard C. Reynolds MD Professor of General Internal Medicine; and provost, Rutgers Biomedical and Health Science, New Brunswick , is one of the 2018 award recipients of the National Blood Foundation Hall of Fame. Dr. Carson, along with the other inductees, is being honored for his significant contributions to the advancement of transfusion medicine, cellular therapies and patient blood management. They will be recognized during the 2018 AABB Annual Meeting, held Oct. 13-16 in Boston. Congratulations, Dr. Carson, on this honor. 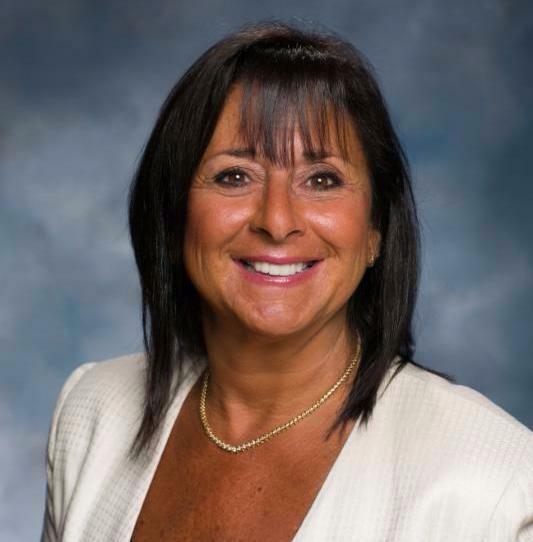 Carol A. Terregino, MD , senior associate dean for education, associate dean for admissions and professor of medicine, will assume the title of senior associate dean for education and academic affairs. Dr. Terregino's experience in medical education is extensive, spans the four years of the undergraduate curriculum and includes the development and management of regional medical campuses. She is the co-founder of the Patient-Centered Medicine course and director of the Clinical Skills Center. She was a Liaison Committee on Medical Education (LCME) field secretary and most recently led the school in the March 4-6 LCME accreditation survey visit. She is the founding director for the Robert Wood Johnson Medical School Institute for Excellence in Education and will be adding academic affairs to her portfolio. 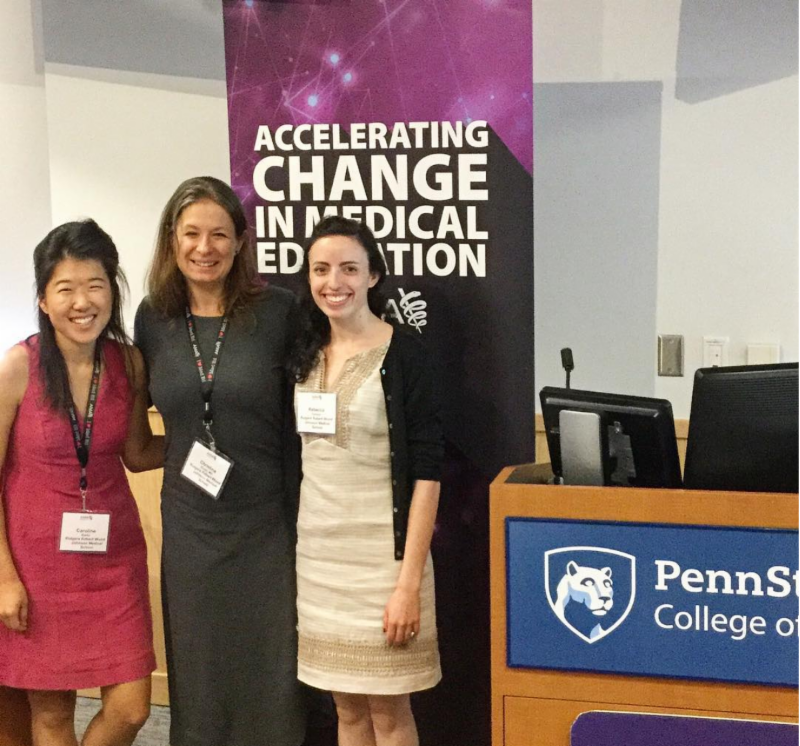 The new Office of Education and Academic Affairs will support education and professional development activities across the medical and biomedical continuum: students, residents and faculty. Under the leadership of Dr. Terregino, the office will cultivate opportunities for professional growth and personal satisfaction with structure, guidance and strategies for mentees and mentors. Congratulations, Dr. Terregino, on your new position! Follow us on Instagram and Facebook for more. 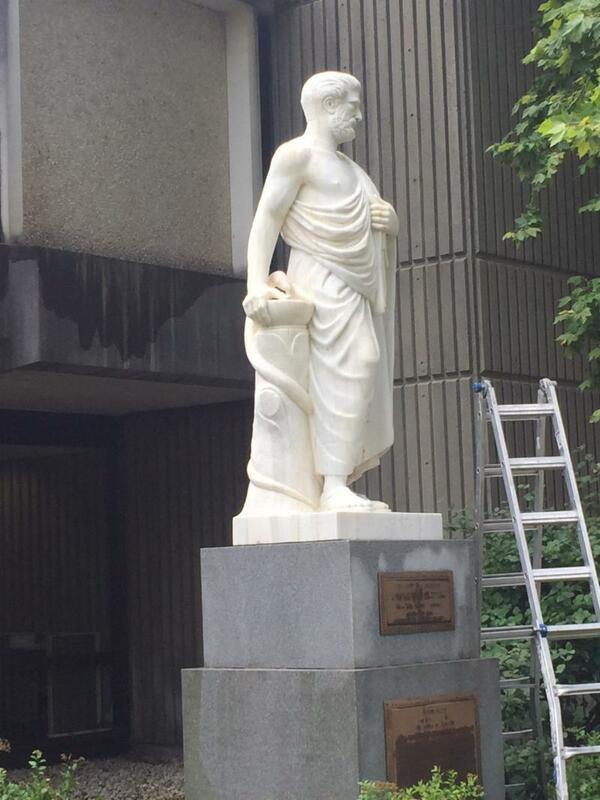 Thanks to Robert Prodoehl, MBA, e xecutive director of operations and administration, Jeff Grek, manager of facilities and equipment services, and the facilities team for their hard work giving the Hippocrates Statue on the Piscataway campus a makeover, right in time for new student orientation! As faculty, staff and students, your input in the magazine is crucial as we seek to position the medical school as a national leader in medical education. Help Robert Wood Johnson Medicine magazine better represent you and serve your needs by completing a five-minute survey . Your feedback will shape our future content, with the goal of keeping you informed about the medical school. To take the survey, click here . Complete the survey by Aug. 24 to be entered into a drawing to win a $50 Visa gift card. 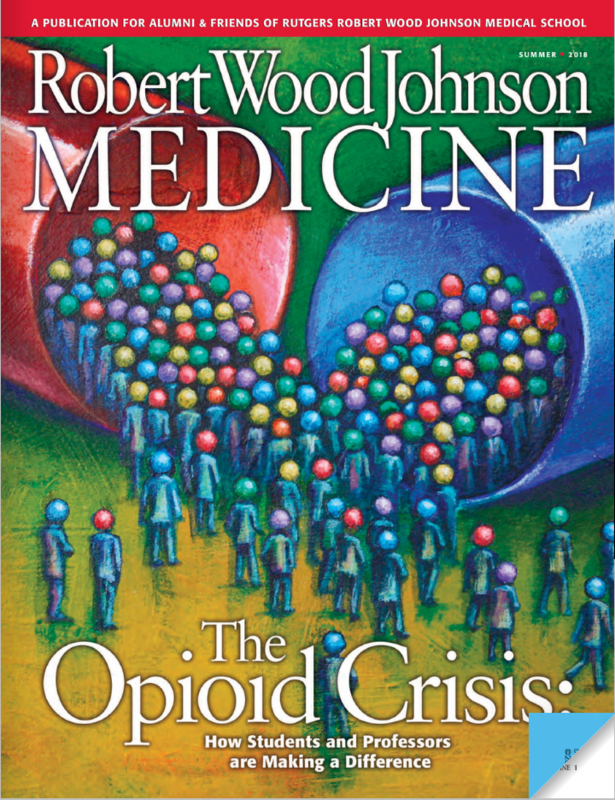 The summer issue of Robert Wood Johnson Medicine highlights training students about the opioid crisis; helping women after a breast cancer diagnosis; studying the role of potassium channels in aging; thechanging role of women in medicine; and many others others. 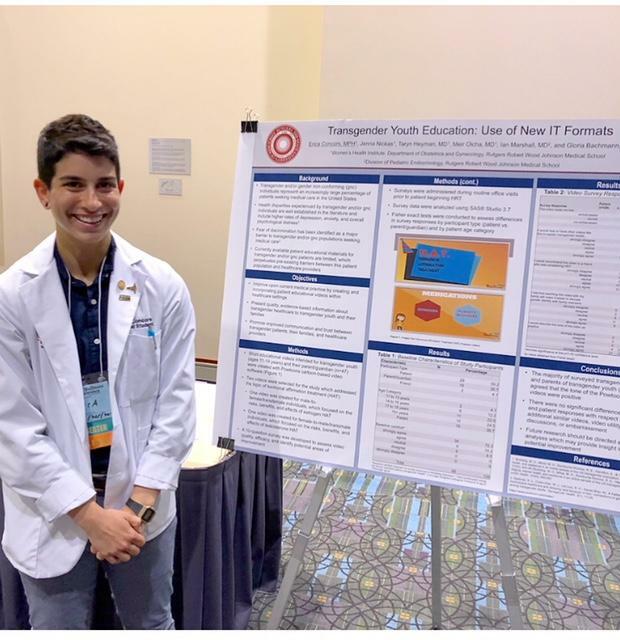 Students Erica Concors and Frederick Bosoy presented at the Philadelphia Trans Wellness Conference under the World Professional Association for Transgender Health Student Initiative. Erica presented on informed consent being made more understandable for young individuals and their families via a Powtoons presentation, and Frederick’s poster recapped the Transgender Literature and Medicine series the Women’s Health Institute presented last semester, assisted by a grant from the National Council for the Humanities. 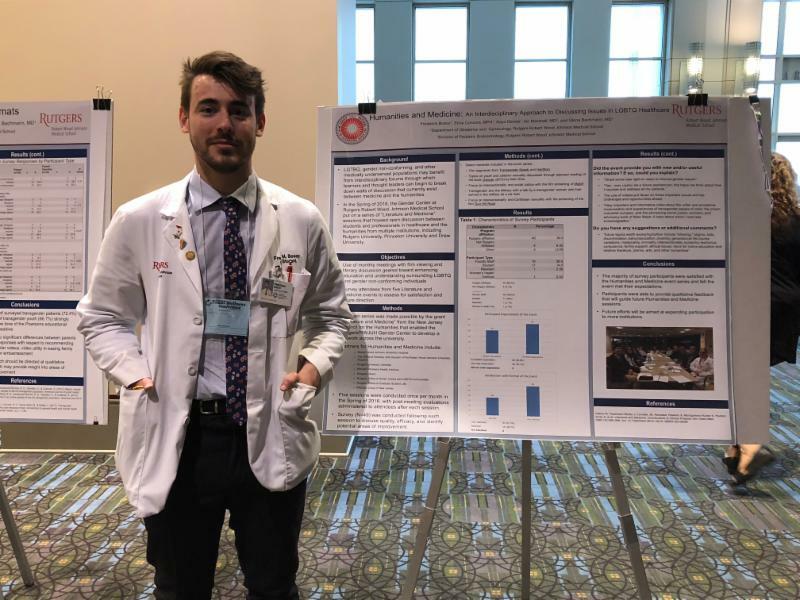 ﻿The students worked with Ian Marshall, MD , associate professor of pediatrics, and Gloria Bachmann, MD , professor of obstetrics, gynecology and reproductive sciences, associate dean for women’s health and director of the Women’s Health Institute, on their posters. As we are now less than a month away from resumption of the full regularly scheduled series events (Grand Rounds and Case Conferences), please note that I added listings of several of the inaugural sessions that will begin in early September. This week, I highlight the Department of Pediatrics Annual Lawrence T. Taft, MD, MPH, FAAP Memorial Lecture, which will be held on Sept. 6 at 8 a.m. in CAB 1302. Delivered by Caroline Coffield, PhD, and Jill Harris, PhD , the lecture is titled "Improving Early Access to Care for Young Children At-Risk for Developmental Delay." Click here to view all upcoming CME activities.